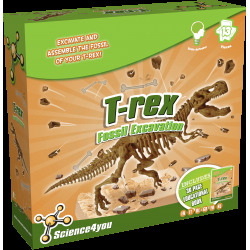 Make a fantastic Tyrannosaurus Rex fossil in gypsum! 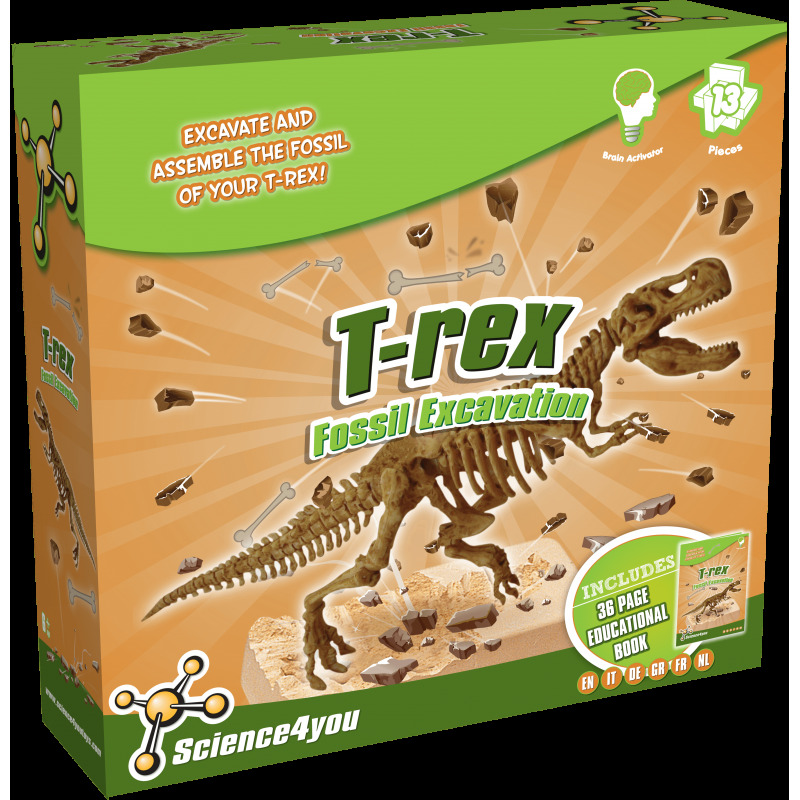 Excavate and assemble the fossil of your T-Rex! 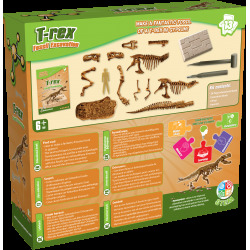 You will learn about archeology and dinosaurs with it. 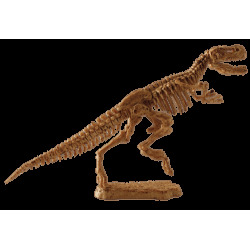 Characteristics and curiosities about Tyrannosaurus Rex. 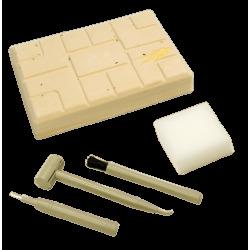 This toy includes 13 pieces as well as an educational book with 36 pages.